Moist homemade lemon cupcakes topped off with lemon curd cream cheese frosting. A fun and flavorful dessert, perfect for any spring or summer occasion! I’m beyond excited that spring has finally sprung around here. The leaves literally popped in a matter of a day or two recently. The weather couldn’t be more amazing, outside of some rainy days here or there. Not a huge deal. I’d rather rain than snow! The only downside to spring is the bugs. And it’s not even mosquitoes, because those you can typically spray for or use some kind of treatment or whatever – both on yourself and yard. But the May flies are seriously the worst. I’ll be outside a lot this spring for softball and baseball and I seriously cannot handle the bugs. They generally don’t bite but they’re a huge nuisance. I’m always the person waving my hands around just trying to keep the bugs away. I don’t know how people can manage to not be bothered but things buzzing around them. My solution… a mini tent that has mesh sides! It’s perfect for sitting or standing – literally just hanging out watching spring sports. I can’t wait for it to arrive. It’s so silly to be excited about spending hours upon hours inside of a tent, but it means bug free time. If I have to be outside – it needs to be bug free. Fingers crossed it works well and isn’t too unruly. It folds flat but then you have to twist it to package it back up. I’m sure it’ll be comical to watch me folding this thing until I get the hang of it! I just started watching the first season of The Handmaid’s Tale. Everyone I know that’s watched it has absolutely loved it. I mean completely raved about it while also stating how creepy it is compared to what we’re dealing with in our country currently, and even the world. I may have to cave and pay for Hulu to watch season 2. I’m not sure I’ll be able to wait until it’s available elsewhere, since that’ll easily be next year at this rate. Have you watched it yet? Once spring rolls around… or even before then, to be completely honest, I get become so obsessed with lemon flavored goodies. Gimme everything lemon flavored! Maybe it’s the bright cheer color after a long dreary winter. Or maybe it’s the pop of flavor. Though it’s probably a bit of both! Can you blame me for wanting something bright and cheery after the winters we have in New England? 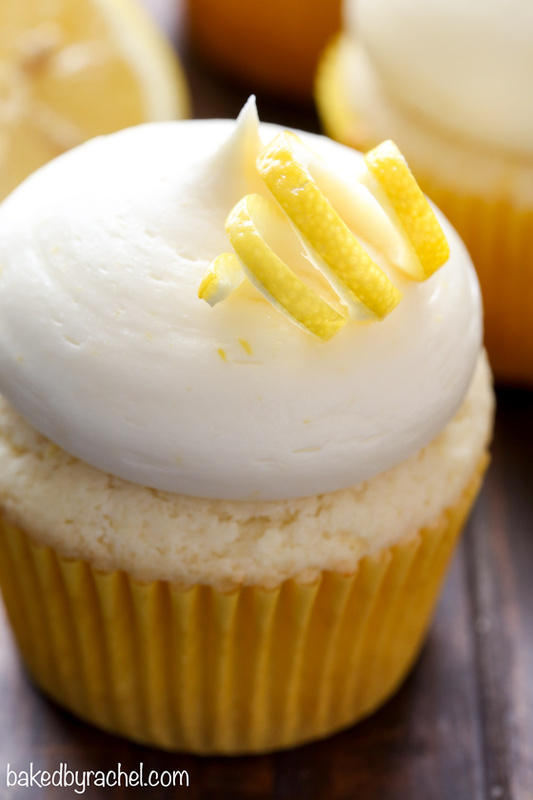 These cupcakes are perfect for anyone craving lemon. A perfect pop of citrus flavor. Moist homemade lemon cupcakes topped off with lemon curd cream cheese frosting. This frosting is insanely good. It’s not a bold slap in the face lemon flavor. It’s a nice subtle lingering flavor. Mellow, refreshing and absolutely perfect. Oh, and let’s not forget the garnish – totally optional but definitely a fun addition! 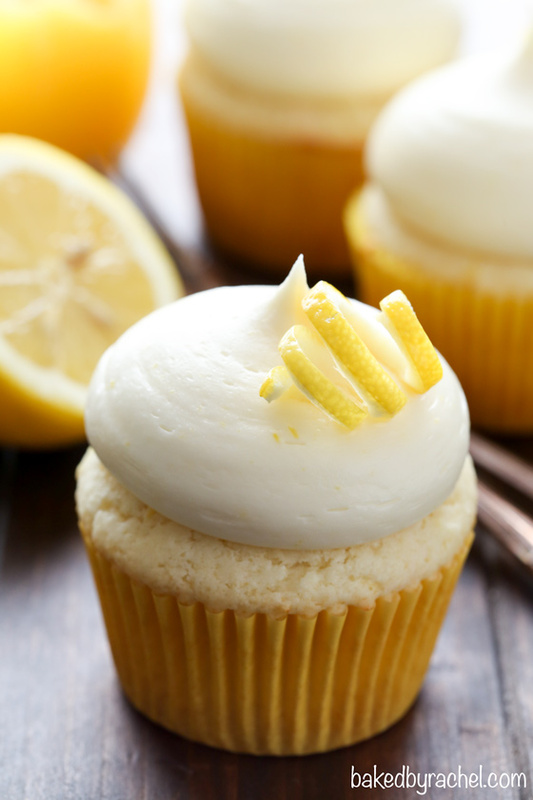 If you love lemon treats as much as I do, be sure to add these homemade lemon cupcakes to your baking plans asap! 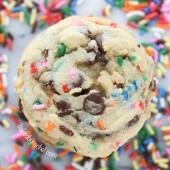 Psst… they’d be a perfect dessert for Mother’s Day or upcoming graduation parties! Preheat oven to 350°F degrees. Line a standard cupcake pan with 8 paper liners. 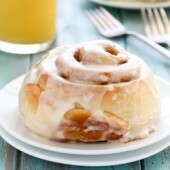 In a large bowl or stand mixer, cream together butter and sugar until light and fluffy. Mix in egg and vanilla, followed by optional lemon extract, lemon juice and lemon zest. Scrape bowl and beater as needed. Mix in salt, baking powder and flour. 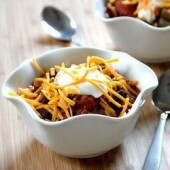 Lastly, add sour cream, mixing until just combined and no streaks remain. Divide batter equally between prepared liners using a large cookie scoop. Bake for 18-20 minutes or until a toothpick inserted comes out clean. Cool in pan for several minutes, or until easy to handle. Transfer to a wire rack to cool completely. When cupcakes have cooled complately, prepare frosting. In a large bowl or stand mixer, beat together softened cream cheese and butter until smooth and fully combined. Add 1 cup of powdered sugar at a time until fully combined. Add *lemon curd. Mix until fully combined and desired consistency is reached. Transfer frosting to a piping bag fit with a jumbo round tip. Frost and decorate as desired. Store cupcakes in an airtight container at room temperature for up to several days or store chilled. If decorating with lemon curls; wrap thin sections of lemon peel around a straw or pencil, pinning into place for 30-60 minutes or until shape has set. Make curls and garnish cupcakes just prior to serving. *If using homemade lemon curd, prepare ahead, giving it enough time to cool to room temperature. **A jumbo round piping tip was used for this recipe. Yummy! I almost feel the fresh taste of lemon! Thanks for the recipe! Hi Rachel. I always love your soup recipes but I am not much of a baker. This recipe caught my eye because I Love lemon! I want to give it a try but don’t know what lemon curd is or where to get it. Can you give me some advice on where to find it? 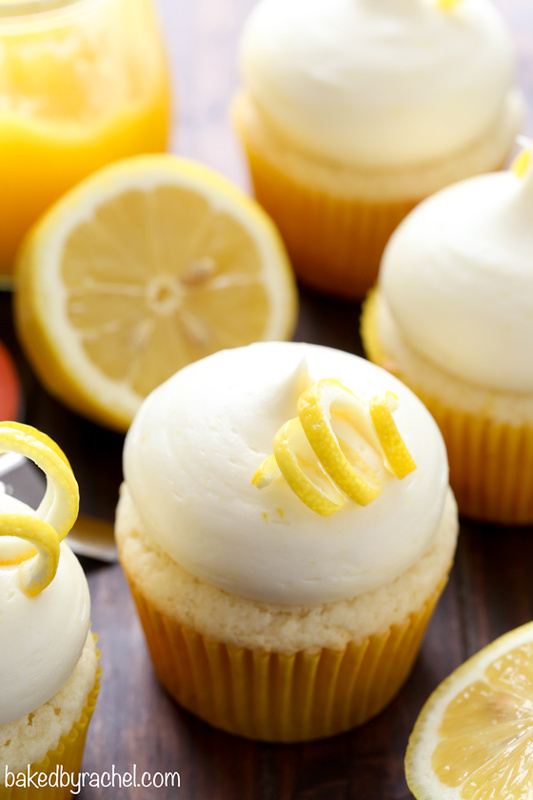 These lemon cupcakes look delicious! The lemon cream cheese frosting sounds so good. I haven’t watched the Handmaid’s Tale yet, but it’s on my list! Lemon cupcake with lemon frosting? Count me in! I love lemon treats and sweets, will sure make try this one too! What would be the measurements for a 2 layer round cake for the cake mixture and the icing? Since this is written specifically for cupcakes, you would need to likely at least double the recipe. I made these cupcakes tonight, tripling the recipe to make 2 doz. the amount of baking powder got a little out of hand (6tsp). It really affected the taste. Correctly measuring and increasing all ingredients equally shouldn’t cause that issue. The only way I could see there being a taste issue is if your measurements were significantly off or if you’re not using aluminum-free baking powder, as that can have an off taste. Where does it say where the amount of servings this has? I can’t seem to find it and I need this recipe by Tuesday! Please comment back to me Rachel if possible. Thank you!